“You can always start again,“ Kate Robinson’s mother once told her, ”all it takes is a new thread.“ Overwhelmed by heartbreak and loss, the struggling twenty-six-year-old fashion designer follows her mother’s advice and flees to Ireland, hoping to break free of old patterns and reinvent herself. 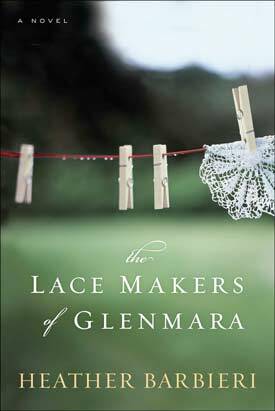 In the village of Glenmara, she finds the inspiration that has eluded her, and she and a group of the lace makers create a line of exquisite lingerie-and gain the strength to face long-denied desires and fears. But not everyone welcomes Kate, and a series of unexpected events threatens to unravel everything the women have worked so hard for….